1.) 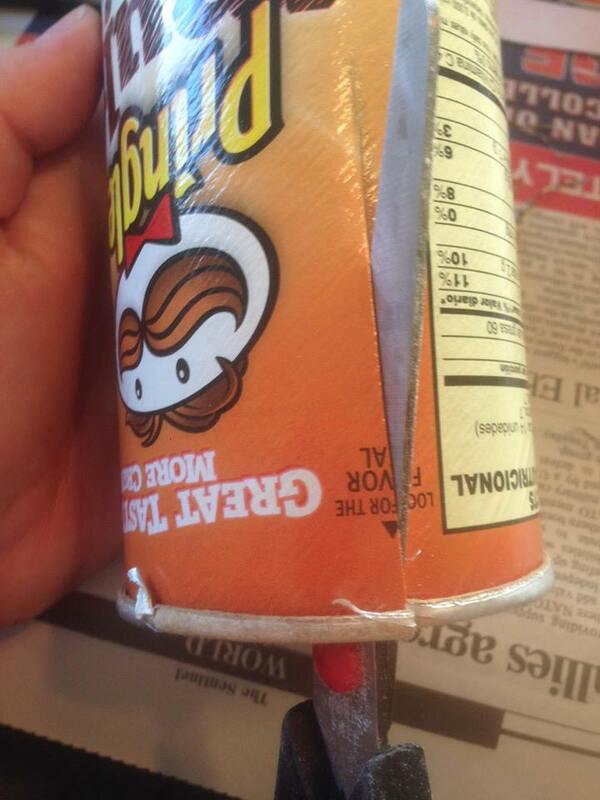 First cut your Pringle can to the size you want it to be. I put a few pencils in the can before I cut, just to give me an idea of where to cut. 2.) 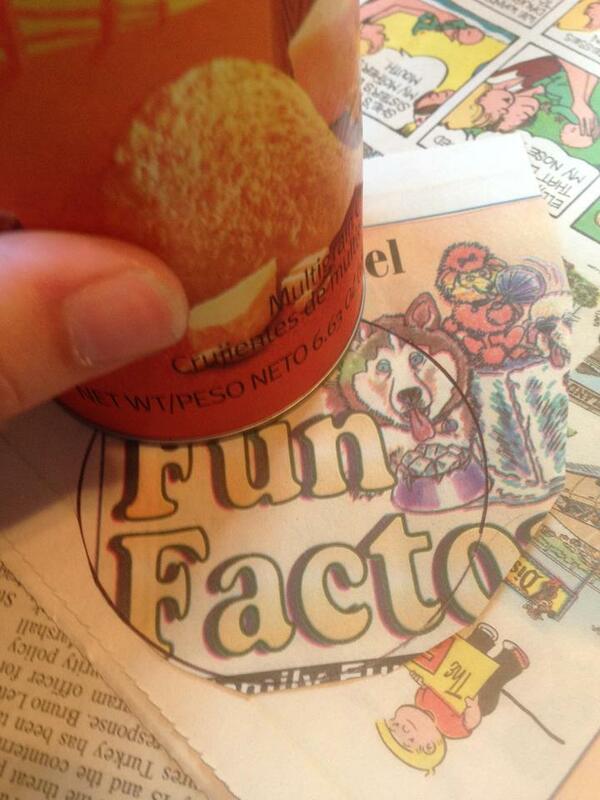 Place the Pringle can on top of one of the comic strips and trace the bottom of it. 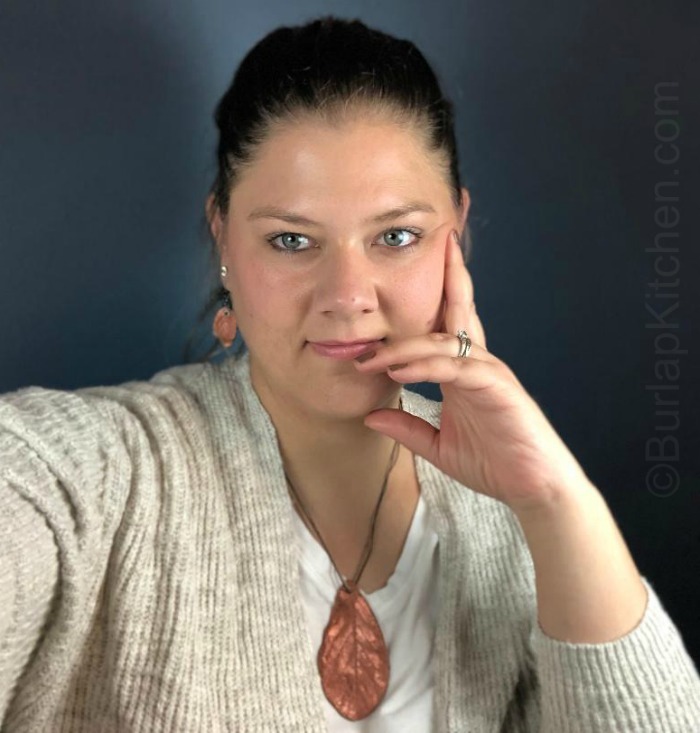 Cut the circle out. 3.) Now here is where I went wrong. I am going to tell you how I should have done this. 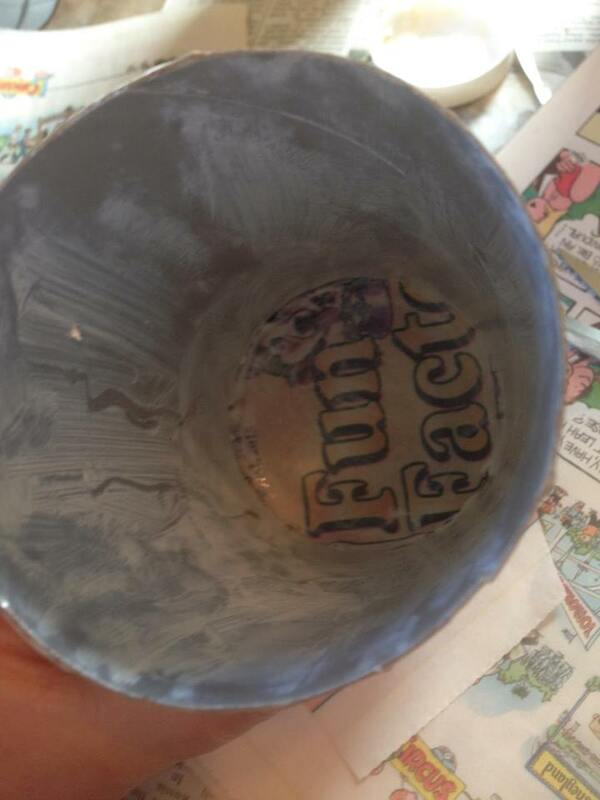 So… when I did this, I mod podge the entire inside of the Pringle can. 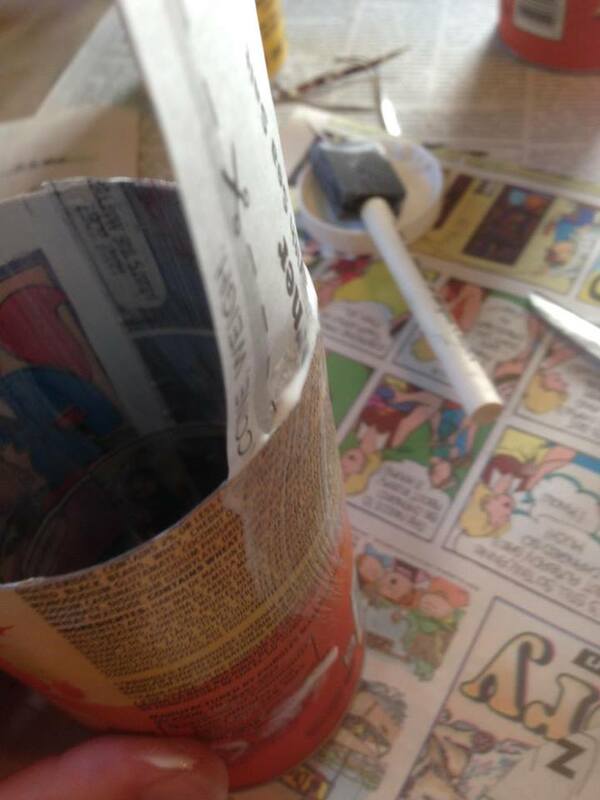 After that, I placed the comic circle that was cut onto the bottom of the inside of the can. This was a sticky mess! 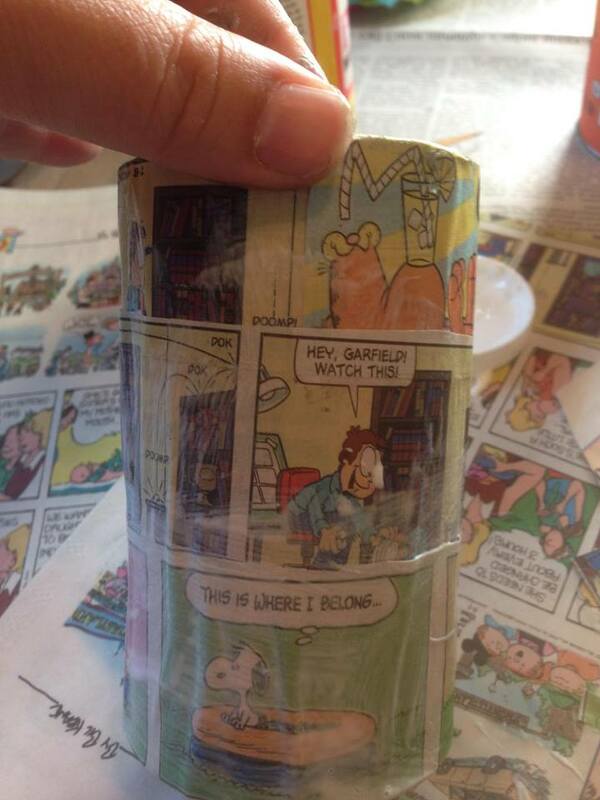 What I should have done was ONLY mod podged the bottom of the Pringle can, then place the circular comic strip in. 4.) 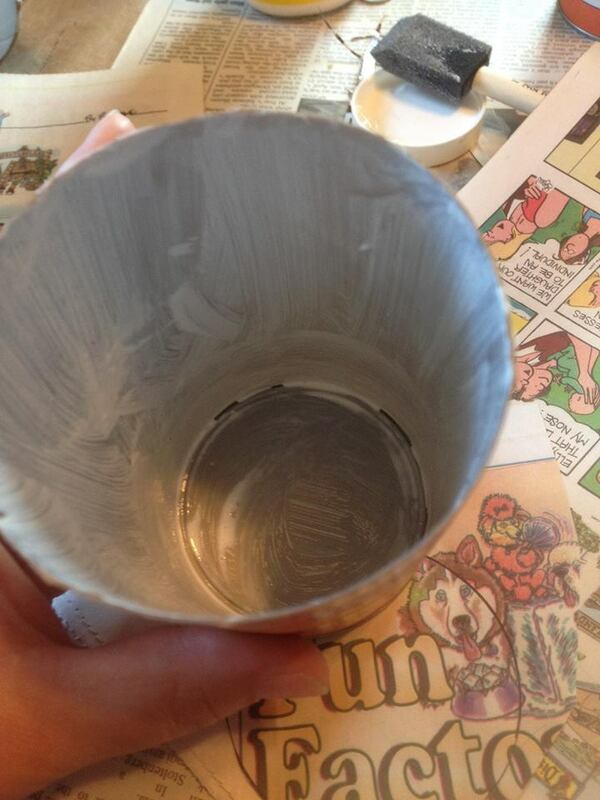 After you get the circle piece in, then paint the rest of the inside of the can with the mod podge, including the top of the circular piece you just put in. 5.) 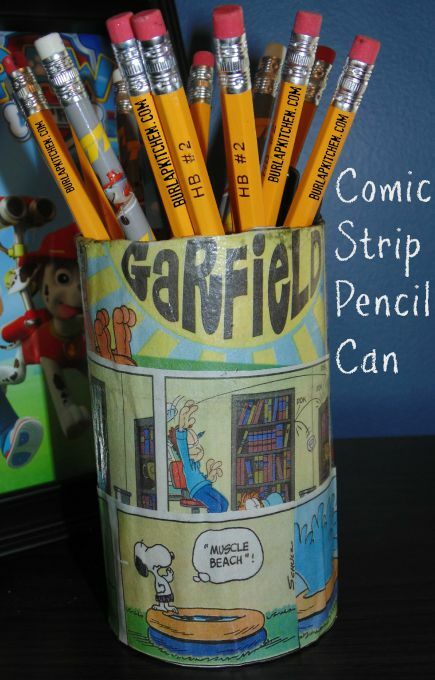 Take your strips and stick them vertically or horizontally ( however they fit and however you want them to go) to the inside of the can. 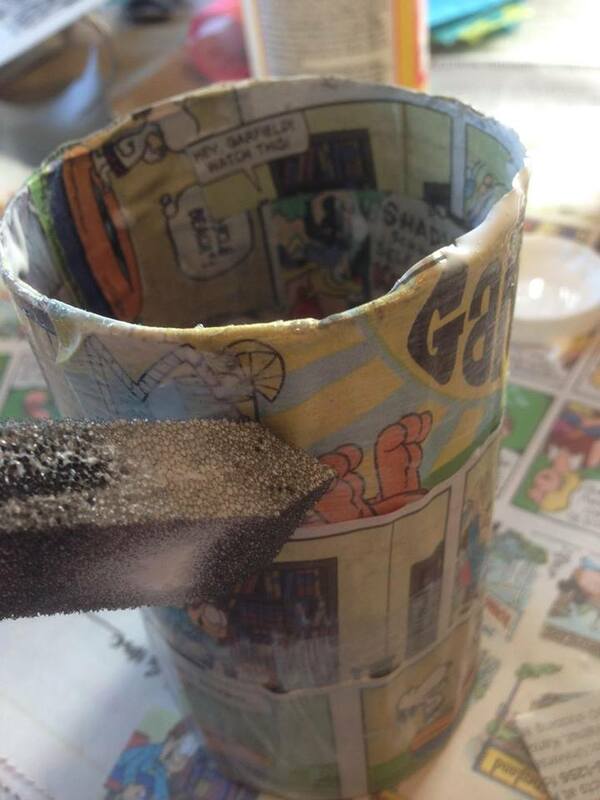 Paint over top of the comic strips with Mod podge. 6.) 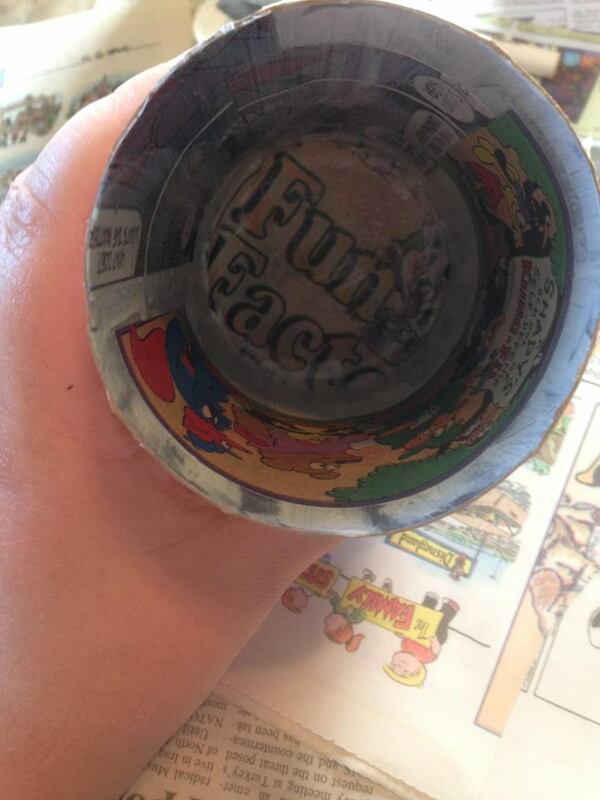 Paint the outside of the can and place the comic strips on the same way you did the inside of the can. Paint over top of the comic strips when finished. 7.) Let dry for a few hours or overnight.